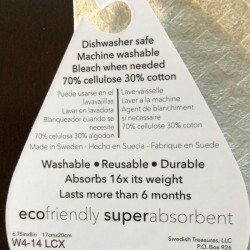 Made of 70% cellulose and 30% cotton, Wet-It cloths are soft to the touch, yet strong and durable with lasting quality. 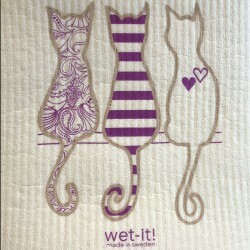 Wet-It cloths are great for general household cleaning from kitchen cleanup to bathroom scrubbing. 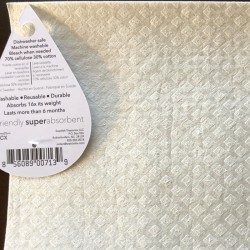 Wet-it cloths clean windows without leaving streaks or lint and polish silver without being abrasive. They are even gentle enough on the baby. Create your own favorite use! 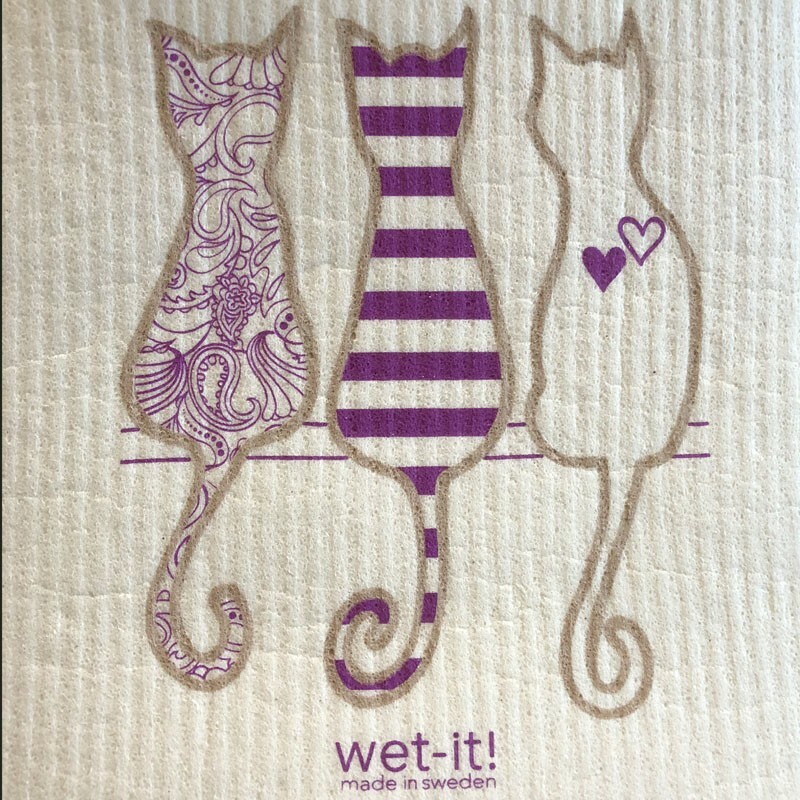 100% biodegradable because of their all-natural fibers and watercolor based prints.